Jim Williams, one of our members, has been learning quite a bit about the ATTiny85 and writing it up on his blog. 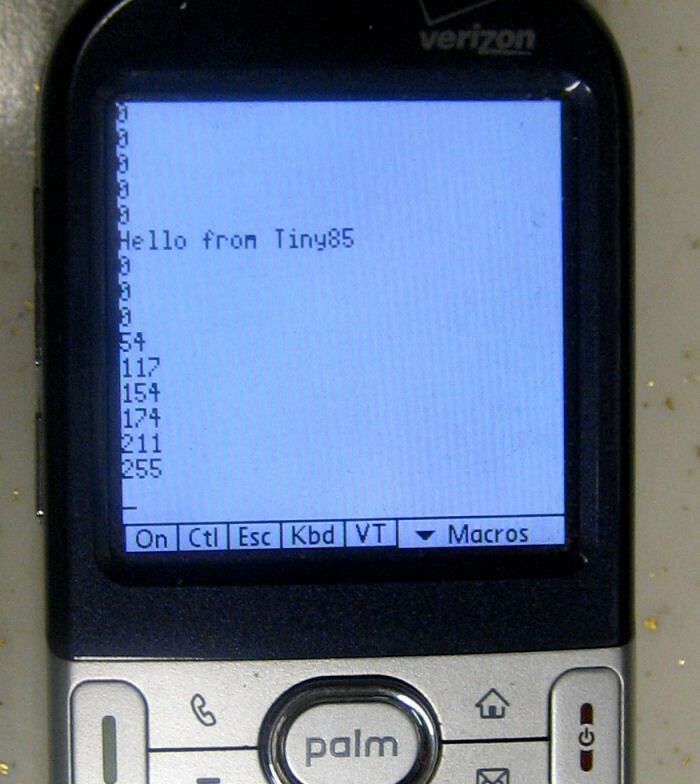 He recently found that he could use an old Palm device as a serial terminal for debug display from the ATTiny85. Very cool! Branden posted a walk-through video of himself going through Workshop 88. He has toured many hackerspaces and has a video of his visit to LVL1. Check it out! Have you seen these cool little devices at the space recently? One of our members came up with this simple hack for figuring out if your LED is still working or not. (Also it can tell you which lead is the anode if you’re not sure.) Check out Jim’s blog where he detailed more about how he put these together.